We’ve all seen Optimus Prime; now it might just be time for Amazon Prime. Amazon has begun testing out deliveries using self-driving robots. “We’ve been hard at work developing a new, fully-electric delivery system – Amazon Scout – designed to safely get packages to customers using autonomous delivery devices,” the company said in a statement. “These devices were created by Amazon, are the size of a small cooler, and roll along sidewalks at a walking pace,” it added. 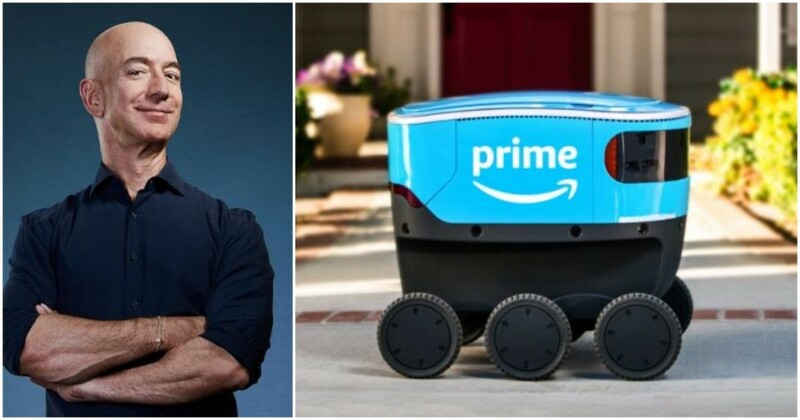 In a video that Amazon had also shared, the blue-coloured robot can be seen rolling on the sidewalk, crossing roads at pedestrian crossing, and eventually stopping at the house where it’s supposed to make the delivery. The robot presumably alerts the occupant of the home in some fashion, following which they can step out and retrieve their package from its innards. Amazon says there are 6 such robots currently in operation, and they’re making deliveries in Snohomish County, Washington, close to Amazon’s headquarters. For now, the robots make deliveries only during the day, and are accompanied by an Amazon employee who’d keep a watchful eye on the robot’s movements. There are, of course, several things that can go wrong with deliveries that are made by robots — the robots, if unaccompanied, are vulnerable to theft and ransacking, and given how self-driving cars haven’t become mainstream quite yet, their navigational skill might also require some work. But that hasn’t stopped Amazon from developing these robots in-house, and actually putting them out on the field. This isn’t the first time Amazon has come up with somewhat outlandish ways to make its deliveries. In 2016, the company had tried out a delivery through a drone, and had made the delivery 13 minutes after the order was placed. Amazon’s also been looking to make its stores high-tech — last year, it had debuted the Amazon Go stores, which had no cashiers, and customers could simply walk in and pick up their products, and were billed automatically using AI and facial recognition. It’s initiatives like these that make Amazon’s stock trade at the premium that it does. Amazon doesn’t make a lot of profits, but in spite of being the largest e-commerce company in the world, it seems to be constantly pushing the boundaries around what might be possible in its field. Not all of its initiatives work out — the Amazon Fire phone was a notable bet that didn’t quite play out — but the ones that do could end up changing e-commerce forever.